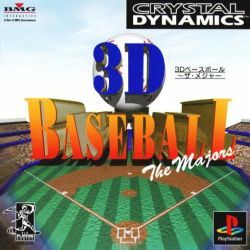 Rate This Thread - 3D Baseball: The Majors [SLPS-00693]. 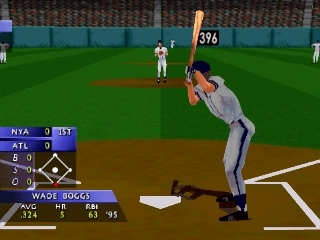 3D Baseball is one of the first PlayStation games to use 3D polygonal models and stadiums. Everything from the batter's swing and movements are rendered in 3D in order to capture a realistic essence of baseball. There are a few gameplay options you can choose from. The season mode is just that -- a full season of baseball. You can play it with an arcade setting or you can be the general manager of your team. Being the general manager means you will have to actually run the team. You'll have to pick line-ups and your pitching rotation, substitute batters and runners, trade players, etc. This also allows you to build your very own dream team featuring your favorite players. You can play a short or extended season or opt to play a quickie arcade game against the computer or friend. The choice is yours. 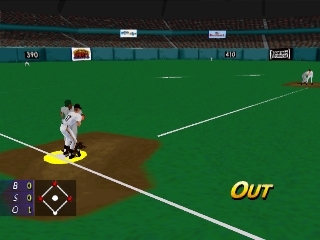 Crystal Dynamics presents the most realistic baseball video game ever published. Real Motion Control 3D technology serves up incredibly life-like 3D polygonal models that bat, pitch and hit like real players. Publisher : BMG Interactive Entertainment. l4c3k, Many thanks for the game!